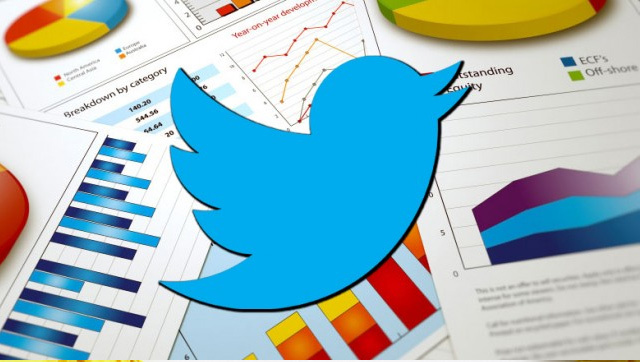 Do you really know how to use Twitter analytics effectively? Does your business look at the right social marketing stats and insights to help you tweet better and achieve real results for your brand? Here are 6 Twitter analytics tips to help skyrocket your business’s social media marketing success with the micro-blogging social network. When analyzing your Twitter statistics, are you placing Retweets and Favorites on the same level playing field? A retweet is a sign of value (someone valued your content enough to share it with their followers) while a favorite is like a virtual high-five. If you are planning on using Twitter advertising to drive traffic and sales, then you should focus on promoting tweets with content similar to what receives the most retweets. Can the Favorites data in your Twitter analytics offer any value to achieve real business outcomes? Because Favorites are like a virtual high-five, that means someone found the tweet idea interesting. Thus, when planning Twitter content for your editorial calendar, your business should use the ideas from Favorites to develop blog posts, articles and other branding content. You have probably read many Twitter for business articles sharing opinions on the ideal length of tweets. With Twitter Analytics, you can find tweet length that works best for your business. By comparing your engagement rate with the length of your tweets, you will have real data showing you whether your followers engage more with short, medium or long tweets. Are you experimenting with different hashtags to see if one or more – or a specific combination – resonates best and delivers actionable results from your followers? Experimenting is on one thing, but using Twitter analytics data to discover what really works is the real deal. Export your Twitter statistics to Excel, filter your spreadsheet with a hashtag search and then make note of the engagement rate, impressions, etc. to discover how you can achieve the best social marketing results with Twitter hashtags. Your business may think that best way to increase Twitter follower engagement is to duplicate retweeted content. And yes, this is a sound strategy. However, you can dig even deeper and discover more social media content ideas which will connect with your followers by looking at the Interests section of your Twitter analytics data. Do you place an importance on knowing what your business competition is up to, and what they are doing to be successful both offline and online? Well, your Twitter followers are most likely to be following your competitor’s social networks also. Take a look under your Twitter analytics Followers section and you’ll see the top Twitter accounts your followers are following. Please share your opinions and Twitter analytics tips in our comments.